I’ve been meaning to get around to starting independent reading in my classroom for years. Honest. But like so many things I’ve been “meaning” to do, I put it off. 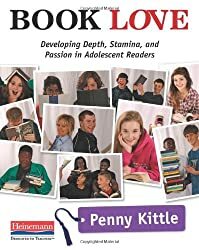 I did finally buy Penny Kittle’s Book Love back in June, and I fully intended to read it. It is true that I had a busier than normal summer. So busy it might in fact be called a non-summer. But I didn’t pick it up and didn’t pick it up. Right around mid-fall, I could feel that malaise creeping in. I’m not talking about the students. I’m talking about me. Then I went to NCTE, which always rejuvenates me and keeps me going for the rest of the school year. 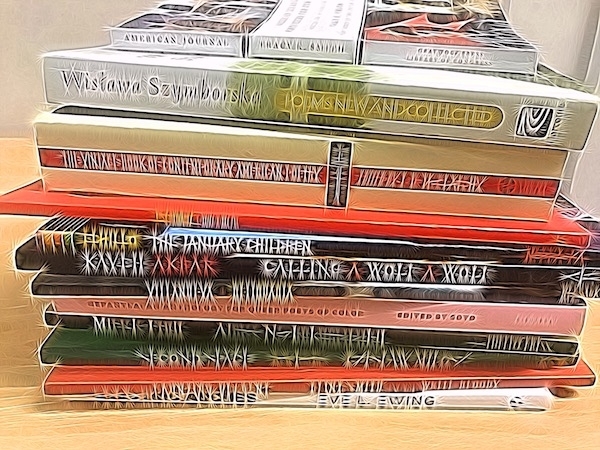 Once again, I heard the discussions about independent reading. Finally, something clicked. I think there is a statistic about how many times you have to be exposed to an idea before you pay attention to it. I decided to do it, and I decided not to wait until the second semester starts in January. We’re starting right now, this first week of December. Independent reading is finally going to happen for real in my classroom. At the beginning of the school year, I ask students to write an educational autobiography for me. I want to know what school has been like for my students. I want to know about how they perceive themselves as students, as readers, and as writers. Almost all of my eleventh graders confessed they don’t like to read and do not read for pleasure. That’s a staggering statistic. They are not going to magically become life-long readers, which I say is one of my goals for them, if I don’t do something. I think the students in my class, the ones who say they don’t like reading, just don’t know what they like to read. They haven’t found a book yet. I will admit that I try some different things that make literature study more interesting for students. Literature circles, for example. One of my students confessed he had never read so far into a book as he had the book my students were reading in November, The Adventures of Huckleberry Finn. I attribute that stamina to the literature circle. If I had ever been asked to choose my own books to read for pleasure in school, it would have been my favorite class ever, and those ten minutes or so at the beginning of the period would have been my favorite part of the day. But I was a reader, and I became a reader in spite of my teachers, not because of them. I don’t actually have memories of reading something I really liked in school (after elementary school, that is) until 11th grade, when we read To Kill a Mockingbird, but even in that case, I didn’t choose to read that book. It was assigned. I read my own things outside of school. I actually liked reading, and I didn’t enjoy the selections chosen by my teachers. Sometimes, I even faked my way through reading because I couldn’t keep up with the assigned reading. I didn’t want to fake it. I actually wanted to read the books. I even faked my way through one of the books I was assigned in college. Even though I didn’t always do my assigned reading, I actually really wanted to read and loved to read. If my students don’t love to read, think how much more they must be faking their way through reading. Sometimes, later on (never at the time), former students have confessed to me that they didn’t read a text I assigned. I firmly believe no one is going to die if they don’t read a certain book. I know that feeling is pervasive in secondary education, but one reason I don’t share it is that I myself had such a patchy high school education that I managed to graduate and even major in English Education (which at my school, meant only two fewer English courses, before you complain it isn’t as rigorous as English) without having ever read such essentials as The Adventures of Huckleberry Finn, The Great Gatsby, The Scarlet Letter, and so many others. In fact, had I not read them on my own, I also would have missed The Catcher in the Rye and Lord of the Flies. Can you believe I’m still here to tell the tale? What happened was that I read all those books later. I actually think I read them at the perfect time for me to read them, too. So even though I love leading students through a work of literature and watching them enjoy it, I also want them to become readers, and I think this year in particular, my students need my help to figure out how to do that. Enter Book Love. Though I’m not finished reading it yet, I already have some advice on how to start, which is what I really needed. I had several questions about how this should look, including what to grade and how to grade it. Kittle covers all of that ground in the book. I scheduled a visit to the library, and our librarian plans to book talk some titles so that my students can make their first selections. I have already begun the process of hauling my own books to donate to my classroom library. I even spent some time last week organizing the books on shelves. Once my library is big enough, I’ll organize it by genre, which I think will help students find what they want to read more quickly. One thing I especially appreciate about Kittle’s approach is that she doesn’t recommend scrapping the literature study in favor of all independent reading. I find our discussions of the literature we read together to be rich and rewarding. I have heard a lot of teachers who seem to me to be ditching the full-class novel entirely in favor of independent reading, and I am not ready to do that at all. Kittle says the key is balance. We need to create life-long learners and build time for independent reading. But students also benefit from full-class novels. I actually don’t teach a lot of novels in my eleventh grade classes, so I think weaving independent reading into the curriculum should be fairly easy and shouldn’t strain my curriculum too much. But I say that if it does, then perhaps some texts need to go. I am here to serve the students, and that doesn’t mean cramming as much curriculum in as I can. Other teachers at our school are trying independent reading with great success. It feels great to be in their classrooms, watching them conference with students about their reading and talking about books. As much as I knew independent reading was the right thing to do and as much as I wanted to do it, I somehow didn’t find the time to make it work. I think I just needed to hear one more time how important it is. Here we go. I’ll let you know what happens. Thomas C. Foster’s excellent book How to Read Literature Like a Professor: A Lively and Entertaining Guide to Reading Between the Lines elucidates literary analysis like no other text I have read. It clarifies the sometimes difficult task of interpretation and making meaning. It has an excellent recommended reading list, and it is indispensable for English teachers. I absolutely loved it. I didn’t enjoy its “sequel,” How to Read Novels Like a Professor: A Jaunty Exploration of the World’s Favorite Literary Form nearly as much. The book is repetitive. Foster discusses the same books, pretty much over and over, and if, for some reason, you are unfamiliar with one of his pet texts or if you didn’t like it for some reason, it’s hard to connect to what Foster is saying—or it was for me. Your mileage may vary. I don’t much like Joyce. There, I said it. I did give him a try. I guess I prefer my novels to be more like the great Victorian novels Foster describes. I am not opposed to Postmodernism here or there, and I don’t have to travel with the characters in a straight line. But Joyce doesn’t do it for me. I like it that Foster acknowledges we have different reactions to novels. Towards the end of the book, he describes a discussion with a high school English class in which one lone dissenter admitted he didn’t like Great Expectations. Of this student, Foster says, “It takes courage, to say you’re in AP English and aren’t wild about one of the established classics. For one thing, there’s the weight of more than a century of received opinion going against you” (292-293). Yes. True. I do not like Ulysses. I tried to read it. I was grossed out on page one. I gave it up. And that is OK, though the “weight of [nearly] a century of received opinion” is going against me. But he’s a favorite of Foster’s (not surprising, as he seems to be a favorite of many college profs), and he is used as an example over and over and over. And since I didn’t grok Ulysses, I didn’t find myself connecting to those examples very well. I think Foster’s definition of theme is off, and I wouldn’t recommend sharing it verbatim with students. Foster defines it as “the idea content of the novel” (30). When I teach it, I tend to take it further than that. What message did you get from the novel? Deeper than what it is about—why did the author write it? We can’t know that, of course, but we can extrapolate. Did F. Scott Fitzgerald write The Great Gatsby because he wanted to comment on how the American Dream is not achievable by all, and maybe that it is even dead or never existed in the first place? I don’t know, but that is a message I receive from it when I read it. Certainly different readers will see different themes. But I don’t find the definition “idea content” to be all that helpful. This review is cross-posted from my book blog because I thought it might appeal to English teachers. In the final chapter of An Ethic of Excellence, Ron Berger addresses the need to support teachers. This chapter in particular is one I think administrators should read. I wish those in business and educational bureaucracy would read it and let it sink it and really reflect on it as well. Berger points out that teachers do not go into teaching because it’s lucrative. All the bonuses, merit pay, and monetary incentives in the world will not really attract quality teachers in the same way that supporting teachers will. Berger cites the oft-quoted statistic that “[a]lmost half of all America’s teachers leave the profession within five years” (121). I was almost among their number. After my fourth year, I was overwhelmed. There was no support for me. I was burnt out. I had no time to plan or grade, not the time I needed anyway. I was isolated in my own building despite the fact that I was teaching in my former high school and counted among my colleagues some of my own former teachers. I decided maybe I just wasn’t any good at this teaching thing, and perhaps I ought to just pack it in and go into public relations or something. I had some writing skills. I was out of the teaching profession for about five months before I came back. I taught preschool because it was what I could find in November. The one thing you don’t hear about going into teaching is that jobs are not just going to fall into your lap. People figure everyone needs teachers, so finding a teaching job is easy. Another lie I was told in undergrad was that so many teachers would be retiring in the early 2000’s that they would leave huge gaps, and there would not be enough teachers to fill them all, so we’d have our pick. At any rate, the entire time I was in public education, I was not given the respect, resources, time, or support needed to do my job effectively, and I would venture to guess that is the case in many (if not most) public school situations. Many people naively assume that private schools have tons of resources. My own experience is that time, resources, respect, and support vary in private schools as well. I think it starts with what Berger calls “visionary administrators” (121). If you do not have a school with a strong, visionary administration that advocates for and supports its teachers, that doesn’t give its teachers the time, respect, and resources needed to teach well, then it is going to be an uphill battle to stay enthusiastic about your teaching job or even to stay in the profession. This support needs to go deeper than lip service, too. I have had an administrator that I will call John who swore up and down that he supported his teachers, but in reality, he micromanaged them, didn’t trust them, and was rather quick to throw them under the bus. He was responsible for a toxic work environment. There was no recourse for teachers who worked with him. He was a bully. He did not have what Berger calls the “courage” to trust his teachers, and his teachers didn’t have the tools they needed to innovate, both in terms of actual resources and professional development. Teachers were not involved in “decision making in genuine and significant ways” (150). They were consulted, and if their thoughts did not align with his, he discarded them. If a teacher did have an innovative idea, often John’s way of discouraging it was to send the teacher on a fruitless research and report assignment to prove it would be effective, and no matter what the results of the report were, John would discard the idea if it didn’t align with what John wanted to do. After I while, I stopped bothering to offer my opinion. It was easier to agree with John and do things his way because my opinions would not be seriously considered anyway. I have learned recently that it’s important to assume people have good intentions. I wish John had assumed that I had good intentions with my students and that I was a teacher because I felt called to teach. I wish he had trusted in my professional expertise. I think that John had good intentions. He wanted a quality education for the students at his school, and he felt very strongly that it had to look a certain way, and his micromanaging of classrooms was intended to ensure teachers were doing what he felt was best. I think the education bureaucrats and business people involved in making major changes to our educational system have good intentions. They see students who fall through the cracks. They see teachers who aren’t good teachers. They want opportunities for all students. But the way they are going about it is not going to reap the results they are after any more than the way John went about administrating his school achieved the results he was after. Consideration of the school culture and creation of a positive school culture. Consideration of the craft of teaching and respect, time, resources, and support for teachers. Berger will give you a lot to think about if you are a teacher, particularly with regards to authentic assessment and project-based learning. But I would highly recommend his book also to administrators, education bureaucrats, and everyone else involved in shaping education policy. The third chapter of An Ethic of Excellence is a meaty one. After you’ve tackled school culture (chapter 2), this chapter asks you to think about the work. Don’t focus on students’ self-esteem before expecting them to do good work. The praise is not genuine, and students know it. Instead, encourage them to produce quality work, and the self-esteem will follow. So, how do you inspire students to do excellent work? The chapter is long, and I’ll do my best to digest. Assignments should be authentic. “There’s only so much care and creativity that a student can put into filling in the blanks on a commercially produced worksheet” (65). In addition, assignments have to be connected to the learning. You are probably thinking that’s obvious, but there are a fair amount of projects assigned—and I’ve been guilty of it, too—that have nothing to do with what the students are studying. Berger gives the example of the science fair. After seeing my daughter through that particular drudge this year, I think he has a point: she picked a random science-related topic, went home and learned about it, and produced a project based on it. It didn’t have any connection to the science she was learning in school. He also describes making a diorama based on Pecos Bill and receiving an A for the project, despite not having read the book. There is a big difference between projects and project-based learning. He describes the classroom as “the hub of creation, the project workshop” (70). Projects are not something done outside of school. They are important work, done in class, with rubrics (often written in collaboration with students) and models. It strikes me that the flipped classroom model is a gift of more time to be able to spend on workshop in the classroom. Project components are broken down, with checklists and deadlines. The process might look the same for each project, but the projects themselves are not the same. Use these projects to teach all the critical skills. Projects are not “an extra activity after the real curriculum and instruction is done” (72). Teach reading comprehension, analysis, understanding, writing skills, etc. through the process of creating the project. I love the example Berger gives of science experiments in school: “We called them experiments, but we didn’t really experiment. These were scientific procedures, prescribed by a book, that we were instructed to follow so that we could achieve a prescribed result, a result that our teacher knew ahead of time” (75). It seems like every experiment I ever did in school was just like the ones Berger describes. I often wondered what the point was. People already knew this information, so why were we wasting our time marching through a process? What did I really learn from doing these experiments? Well, one thing I learned is not to like science. And then I started making my own soap recently, and all of a sudden, chemistry was interesting to me. Not just interesting—fascinating. Even if you’ve made lots of soap, it can still surprise you and do things you didn’t expect it to do. That’s fun science. I can follow a procedure, but the results are not a given. I am actually learning a lot, and I only wish science had been this interesting to me in school. I never really had a chance to be a scientist in school. But Berger makes a good point when he says that “[t]eaching how to do original research doesn’t come easily to many teachers” (78). The key? Teachers need to “let go of their expectation that they need to be the expert in everything, the person who knows all the answers” (78). The arts are often cut in schools, but the arts are a powerful tool to enrich student work. Berger says, “The question for me is not whether we can afford to keep arts in our schools but how we can ensure that students put artistic care into everything that they do” (80). Berger is emphatic that the best way to help students understand what quality work looks like is to show them quality work. Rubrics and descriptions are not enough. While I agree wholeheartedly, the problem is that I don’t always have a student-created model. I can and have created models myself, but my work is not as powerful as a student’s work. Berger suggests borrowing one, but this isn’t always feasible either. I know there have been many times I’ve done a project that is different enough that I can’t find a model. Providing models is ideal, but it’s not always possible. However, Berger is right that the pride students take in being models for others is profound. I have seen it myself: students will ask years later if I still have x project. Berger doesn’t come right out and say so explicitly, but what I infer from this chapter is that you just cannot teach in a vacuum. You don’t have models? Someone else might. You need help figuring out something about an assessment? Someone else can help. This type of connection was the vision I had for the UbD Educators wiki. Berger describes the ways in which school is one of the last places where rough draft work is still acceptable. Teachers will chalk it up to not having enough time, etc., but ultimately, if you want polished work, that means students need to do multiple drafts. We have some work to do in school to establish multiple drafts as the norm instead of the signal that you failed to do it correctly the first time. “[B]egin with the author/designer explaining her ideas and goals, and explaining what particular aspects of the work she is seeking help with” (94). 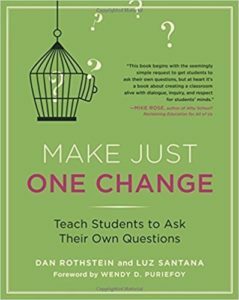 I think at first, you might need to put some sort of metacognitive reflection in place until students become acclimated to asking themselves these types of questions about their work. “[U]se I statements when possible: ‘I’m confused by this,’ rather than ‘This makes no sense'” (94). “[U]se a question format when possible: ‘I’m curious why you chose to begin with this…?’ or ‘Have you considered including…? '” (94). This advice strikes me as something that will be easy to implement in a classroom with a few small changes and some scaffolding upfront, but that will reap large dividends in terms of students’ thinking and understanding. Berger goes on to describe two main kinds of formal critique: 1) gallery critique, in which each student’s work is displayed and students “look at all the work silently before giving comments” (94), after which students discuss examples from the gallery that particularly impress them; 2) in-depth critique, which involves spending a substantial period of time critiquing a single student or group’s work as a class. Berger also adds that when you are talking about written work, it’s important to “differentiate between critiquing for specific content qualities and critiquing for mechanics (conventions); if this isn’t clear, critique can quickly become just copyediting” (95). If you’ve ever tried peer editing and had it flop (I’m raising my hand here), it may be because students have the idea that critiquing is just proofreading. A lot of teachers do not make student work public for a variety of reasons, but a public audience does make the work more authentic and meaningful. As Berger points out, if work is public, “There is a reason to do the work well, and it’s not just because the teacher wants it that way” (99). Emphasis his. We should be offering our students opportunities to publish their writing and projects. I have a colleague that has difficulty with this idea because students do make errors. So don’t we all. I am continually finding small proofreading errors in work I have published here. I even found an apostrophe error in Berger’s book. Does it detract from his ideas? No. Students should be correcting their work and polishing it as much as possible, but we have to acknowledge when we talk about publishing student work that it won’t be perfect. We should not let that paralyze us and prevent us from doing it. Learning is messy. I don’t have the answer. One suggestion is not to assess the work until the students have corrected all the errors you have pointed out in your feedback. However, there is a reason, I think, that Berger mentions multiple drafts and critique before he mentions making the work public. That work of drafting and editing comes first. Berger makes the statement that “U.S. students are the most tested in the world.” I have a hunch that this statement is true, but I would be interested to see if that statement can be verified through statistics. He goes on to say, “Oddly, test-taking skills have little connection to real life. When a student finishes schooling, she is judged for the rest of her life on the kind of person she is and the kind of work that she does. Rarely does this include how she performs on a test” (101-102). See, this is the problem most of us teachers have with testing. I gave one test in my English class last year—the final exam. I was supported in this. I very rarely give tests. They are not the best measure of student learning in my class, for sure. The only kinds of tests I can think of that we might take in “real life,” aside from driving tests and the like, are professional entrance exams like the Bar Exam. I am sure many professions have them. But how is the professional assessed after that? By the quality of his/her work, right? That is what we do in our society, yet it is not the kind of assessment advocated by those who dictate educators’ practices (many of whom are not educators themselves). Why? Because it’s easier than doing a real, authentic assessment. It is much harder to evaluate authentic assessment. Sometimes there is not a neat little letter grade you can put on it. It reminds me of this quote from Dead Poets Society after Mr. Keating has just had the class read the introduction to their text, the subject of which is how to evaluate poetry: “Excrement! That’s what I think of Mr. J. Evans Pritchard! We’re not laying pipe! We’re talking about poetry. How can you describe poetry like American Bandstand? ‘I like Byron, I give him a 42 but I can’t dance to it! '” Berger says, “If tests are the primary measure of quality, the majority of schools feel compelled to have students spend much of their time memorizing facts and preparing for tests” (102). Any first-year teacher can probably tell you about students who are not motivated by grades. Berger teaches in a school that has done away with grades. Some day I plan to write a huge treatise on grades and assessment because I have a lot of thoughts, but I need to do a lot of research. Suffice it to say that I do not see any reason why grades have to be the way we assess. However, Berger does give good advice if you do have to use grades: “Make sure the grades are seen by students as something they earn, rather than as the arbitrary decision of a teacher” (105). Berger closes the chapter with discussion of a water study his students did, which was an authentic research assignment that had real-world implications for community members. It’s a perfect example of the kind of science I wish I had had more opportunity to do in school.